Reading is such an important part of our lives here. Not a day goes by when I don't find my kids wrapped up in a book. And, we try to read for at least an hour a day together. I think part of the reason that we all love reading so much is that we have made it such an important part of our home. Whether they are from the library or our personal collection, are books everywhere. But, there is no one way that a Montessori environment has to incorporate books. In fact, there are so many great, creative solutions to fit any size space. So, I thought I would share some of the reading spaces that I've been inspired by lately! 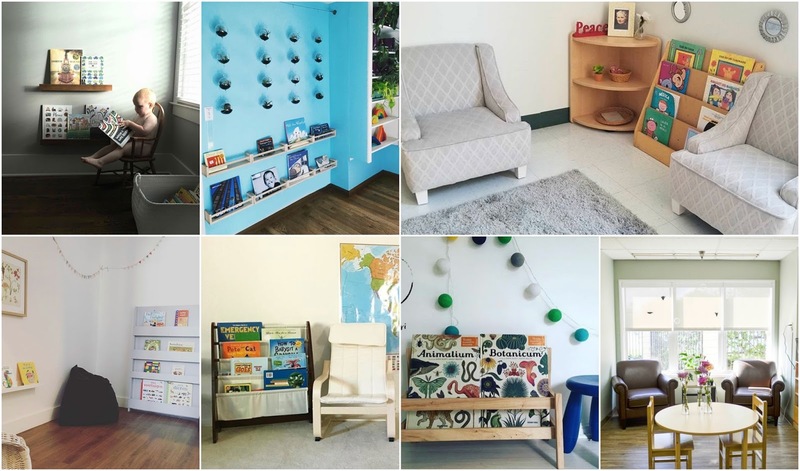 Here are 7 inspiring Montessori reading spaces from Instagram! I love how perfectly simple this space is! It's cozy but also has a great variety of choices. I love the little details in this space, the small mirrors, the picture of Maria Montessori! It's so inviting. I love how colorful and accessible this space is! It's the perfect set up for a smaller space. The natural light, the cozy chairs, the plants all make for a really beautiful space. I wish I could curl up with a book in those chairs! Another perfectly simple space! I love the book ledges, they are beautiful! Here, I love the accessibility! Not only are the book accessible, but so is the map and the seating. It looks like a wonderful place to read. This whole space is just lovely! I love the plants, the color, the book choices! It's such a wonderful way to bring nature into a home and still make the space really accessible to the child. 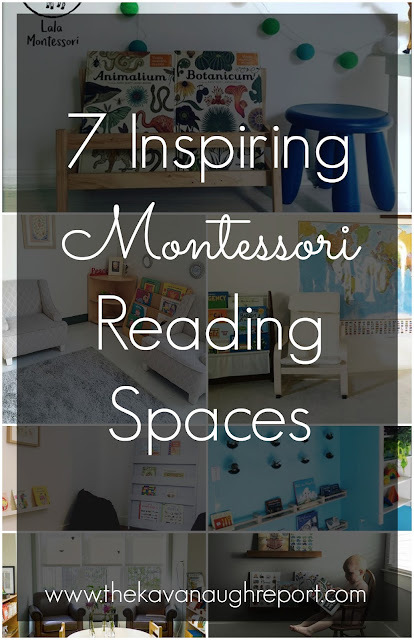 With all this great inspiration, it's hard not to want to go make more little reading nooks in my own home! If you want tips on how to create a reading space, don't miss: 3 STEPS TO CREATE A MONTESSORI INSPIRED READING AREA! Do your children love to read? Have you made a reading area in your space?